World’s first living donor lung transplant using part of a donor’s right lung to replace a recipient’s left lung was successfully completed at Kyoto University Hospital in Japan on early March 2014. The 40 year old patient was discharged from the hospital on 10th May 2014.The entire left lung of a female patient who developed an intractable lung disease was removed, and replaced by the lower lobe of her husband’s right lung. She decided to receive a lung transplant, involving the replacement of her severely afflicted left lung with a segment of her husband’s lung. 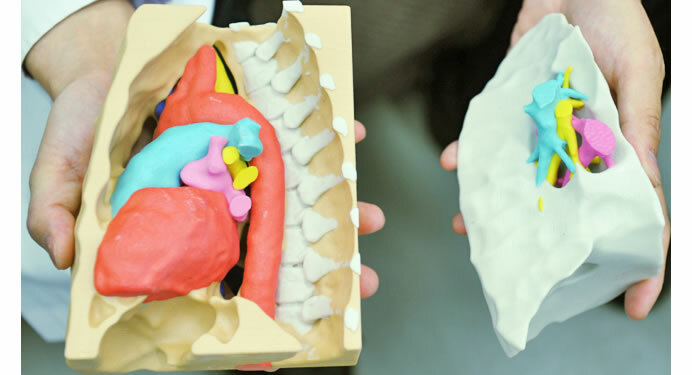 Prior to the operation, the surgeons produced a model of the thoracic cavity of the recipient and the donor graft using a 3D printer. 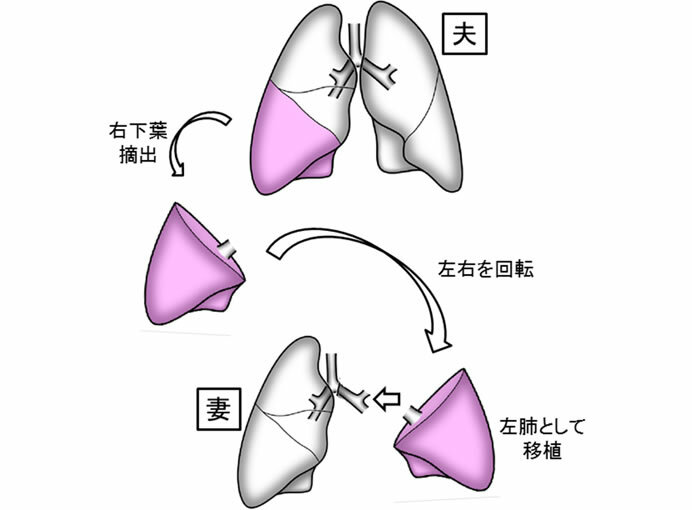 According to Prof. Hiroshi Date, who performed the operation, the patient in her 40s from the Kansai region developed a type of idiopathic interstitial pneumonitis, which causes respiratory distress due to the hardening of lung tissue.